Recently it has all been about the Ricoh GR1, but what everyone forgets is that there is a very famous rival out there, which can certainly trade punches with the GR. So lets have a look at the T2. 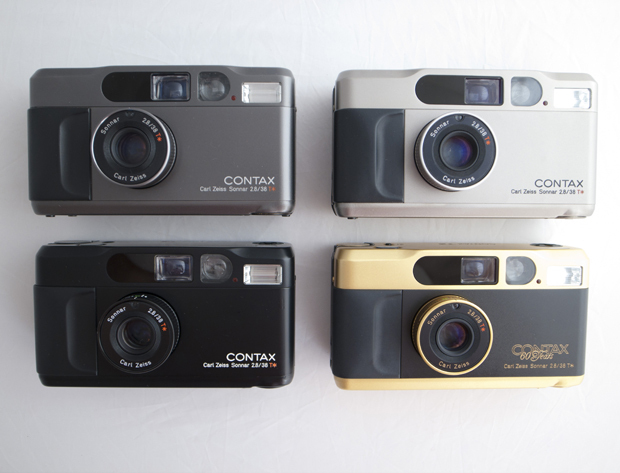 When the Contax T2 was released in 1990 it was aimed squarely at the professional market. As I have mentioned in the past there was a bit of a ‘luxury compact’ was going on between the big makers (though Canon was conspicuous in its absence). And this camera and the later T3 were made in the hope of trouncing the competition. In my opinion there was no clear winner other than the consumer. But because of this bravura by the makers we got to have some simply gorgeous cameras that were also technically excellent. 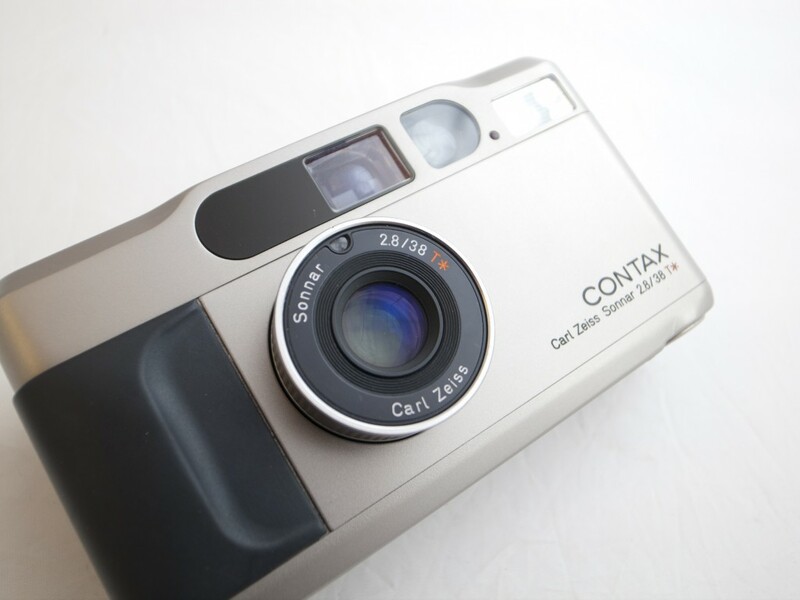 Contax was actually acquired by Kyocera (an abbreviation of Kyoto Ceramics) in 1983. So despite having the name of a great German manufacturer, this camera was made in Japan. As were the optics, more of which later. The T2 was offered in several different finishes, some of which are rarer than others. All bodies were manufactured from titanium (hence the T). The most common finish is the champagne silver version, this is also the cheapest of the range. There is a common misconception that there is only one black version of this camera, but as you can see from the picture there is actually two. The titanium black is the second most common of the range, but the jet black is the rarest and commands a very high price tag. There is also a gold plated version, and here lies the other common misconception. There are actually two gold versions. The regular gold version, which was reasonably common, and the 50th anniversary version, which came with a mahogany presentation box and had a delightful suede cleaning cloth. The 50th anniversary version is much less common than the regular gold version, and is quite a bit more expensive. But by far the most expensive was the Platin version. This came with a platinum plating, a beautiful presentation case, and ostrich leather cladding on the camera. This was a premium camera, that came with a premium price tag too. These are still going for over $1000 now, if you can find one. Now I mentioned the lens, and what a lens it is. The T2 was furnished with a multi coated Carl Zeiss T* Sonnar lens, the sort of lens that you would find on a high end SLR of the time. The 38mm f/2.8 lens was comprised of 5 elements in 4 groups which is extremely sharp. I am constantly knocked out at how good the rendering is on this lens. The camera is fully automated and has a program AE mode which is very easy to use. The ergonomics of the camera are great and it feels solid and comfortable in the hand. The viewfinder is clear and easy to read, though it can be a bit tough when you have glasses. There are not really many downpoints to this camera other than Kyocera are no longer repairing them officially. Though there are apparently smaller places that will have a look at them. The most common problem I have heard of is the film advance dying. Other than that they are tough as old boots and will keep on going unless you chuck them in a puddle or throw them under a truck. All in all this is a wonderful and affordable little camera that gets really great results. I will always have one nearby. Give one a try, you will not regret it. 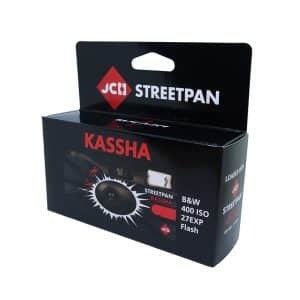 Unfortunately I have stopped sourcing these cameras now as they are simply too hard to find and I get too many requests. Sometimes I have them for sale directly on the site though, please check the sale items page. Great write up on an awesome camera. I got a T2 about 4 years ago and I use it daily, I take everywhere. Totally agree the glass makes this camera. Love this camera! It’s my go to P&S camera. There used to be a Contax T2 Japanese TV commercial on youtube about a year ago, but got taken down or deleted. I cannot find it anymore and it’s driving me nuts! (1) You said the viewfinder is a bit tough for people with glasses, how bad is it? I have no problem with my G2, but I have never actually tried a T2. (2) How do you adjust the aperture? Is there an aperture ring on the lens? It is not all that bad with glasses. I wear glasses constantly and it is not really a problem, you just have to get used to it. There is an aperture ring on the barrel of the lens. Bellamy, thanks for the review of the T2. I just bought a used one. It arrived today and I noticed that the focusing window is cloudy. (It was advertised as having some body wear and mint glass.) Is this a very common problem? Will it affect the functionality of the camera, and can it be fixed? Thanks so much. Any advice appreciated! I think there is one more version to it if I’m not mistaken, the platinum version, which use some kind of ostrich leather instead of rubber grip. Not sure how I overlooked that, seeing as I have owned 3 of them. I am the ex UK service manager for Kyocera Yashica UK (early ’90’s) and I have to say the T2 is my favourite camera of the contax range. Simple to use, sharp, very discreet and beautifully made. Early film transport problems were fixed by the addition of a small pcb to act as a brake and once this was sorted the T2 could stand alongside many of the full SLR’s of the day. Tough as old boots, we had cameras in to the workshop that had been through car crashes, fires and floods and apart from drying out and sometimes replacement covers they worked perfectly. Thanks for the comment, it is great to hear from someone with such experience. They are tough cameras, and I love them. I have a contax T2 with film transport problems. What is a “pcb”? Do you have any service manual that help me to fix my camera? Well, I started out with an Olympus XA as my first p/s. My daughter barrowed it one day and it was stolen from her, so I bought a champaign colored T2, which I took everywhere, and was so easy to use. Later, everybody was going digital, so I too had to have a digital camera, so I sold it. I became regretful as I missed film cameras so I bought a Leica CM. For some reason I never quite liked the CM quite as much as the T2. For one thing the CM viewfinder is smaller and darker then the T2 and it was also more finiky loading. The LED window in back was more cumbersome then the straight shooting in AF of the T2. 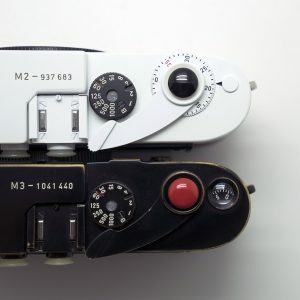 The CM is also larger then the T2, thought compact it is not as compact as the T2. I ended up selling the CM and when a nice used chocolate colored T2 showed up at a camera shop, I bought. This time I learned my lesson and am keeping it. I love the camera so much that I now have them all: Champagne Ti, Black Ti, Black Paint, ‘Platin’, Gold, Gold 60 Years. My favourite is the common Champagne, my first, my shooter. My only peeve is that the controls do not allow me to force it to shoot wide open at F/2.8. I have a titanium black one that has suffered a minor fall. Camera is still perfect except for the wheel, it seems to have taken the load of the damage. The wheel will turn but is very tight, when it is set to AF the lens will usually open but sometimes it doesn’t and is kinda funky with all the other settings. I have looked online and everyone is saying ToCAD is doing Contax/Kyocera’s repairs but on the ToCAD webpage it says they are no longer doing the T series repairs and it says to Contact Metro camera in NYC. Metro does not seem to have much info on the web. Does anyone know where I can get this repaired? I have owned all the usual top-end compacts in the last few years, you know them, Nikon, Leica, Ricoh….because I like to have a camera with me, also in situations where I cannot take a full-size reflex or rangefinder. All these compacts had their pros and contras, but now that I have been using this Contax T2 for a few years I can say that this is my favorite! The only point I’m aware of is that I never put it in my pocket with the lens out, so that I don’t put pressure on it, but all in all it works fine mechanically and optically this little giant is amazing. Great stuff, love it. Tom. Bellamy, you mentioned the T3 in the post. Besides the 38mm vs. 35mm difference, I would like to get your opinion on the T3 vs. the T2. 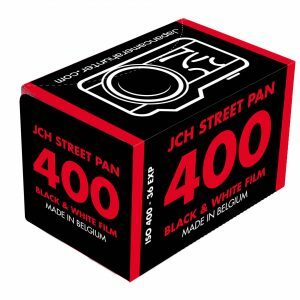 I am in the market for a nice film P&S and would like to hear feedback from you or JCH readers who have handled both and their opinions on both. Are double exposures possible on this? Devin, I have T2 and T3 as well as T4. They are surprisingly very different each other but the difference is hard to describe. you may want to search T2, t3 , t4 on Flickr and you’ll see the difference yourself. The reason why the current value of T3 is more than T2’s is not because of the quality, but the quantity. The production numbers of T2 is at least 3-5 times more than those of T3. They are the equally great cameras, and the T2 price is a truly bargain. Nice writeup on the T2. My brother-in-law was able to buy one for cheap along Ginza, while I managed to purchase an even cheaper G1 body in Kitamura. Wasn’t able to buy a lens though, thinking I’d find some in Manila. Damn, was I wrong. No G-mounts here, even among the rangefinder peeps. How is the T2 doing when shooting people up close wide open? And what is the minimum focusdistance? I cant seem to find it anywhere. found some cases where people find the camera to focus on infinity when trying to do a kind of portrait shot. Seems like a great camera anyhow! Sounds like a good price to me. Grab it. I own a Contax T2. Looks brand new. Can’t remember even using it and willing to sell it for the right price. Please contact me via email if interested. I may be interested. Please PM me regarding the camera’s color, history and price. Thank you. I’m looking for a good point and shoot. So far, the T2 is looking like the best option (manual focus, aperture, compact, etc.) I have one question, though – how is it for snapshot portraiture? I’ve looked through some images but it seems it’s mostly used for street photography, whereas I’m more interested in intimate situations. Is there another similar camera that is better for this? Maybe the Contax TVS? It has a zoom lens with 60mm at the longest end. The fashion photographer Mario Testino uses/has used it for his shots. Can’t get a better endorsement for portraiture than that. Hey Japan Camera Hunter! I am definitely interested in one of this sick little cameras. Any clue where I could get one? Was lucky to find the jet-black version in perfect condition, when I was living in Berlin a couple of years ago. It is a great camera, sees a lot of use and has never let me down. Love the focal length and the stealthy qualities. The sliding door covering the lens seems very flimsy, but has never failed me, though. Other than that, the camera indeed is built like a tank and inspires confidence when handled. Nice writeup-Thanks! Interesting about the film wind failures That failed recently on a trip to Vietnam on my Contax NX SLR! The plastic cog simply wore out. Had to buy a new body, but today was cheap enough. Why can’t we order the T2 to shoot at f2.8? 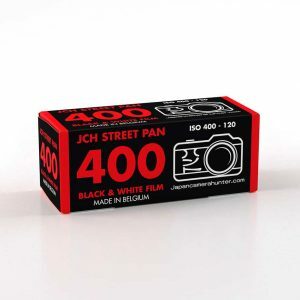 Has anyone super glued/epoxied on an 81A filter, (for velvia 50)? Maybe just the glass? I have one of these little T2 beauties because I was wanting a compact camera for Dog walks since my furry friend is too strong to risk carrying/dropping my Hasselblad gear (and hold-holding while he drags me all over the neighborhood)! Love the Zeiss lens (that was the clincher for me), but it is a bit of a finicky/odd to focus cam (with the dots inside the viewfinder, etc.). That said, a year ago I did persevere & have some nice images, but… I had noticed scratches in the film emulsion, and stopped shooting with it. So I contacted Kyocera, Japan — was informed they no longer service/repair these & have no parts. Contacted TOCAD, New Jersey — who told me that they won’t send overseas, so I need to contact the folks in Japan I’d already spoken with — boo. I guess my question is DOES ANYBODY FIX these lovelies (I imagine it might well be a film transport vicinity problem)? I am in Oceania, so someone in Japan (provided they speak English would be okay). If not, I do travel back to the States annually, and I could do it there then. Any recommendations or suggestions??? Many thanks! I’ve been buying and using thrift/op shop old cameras for years. they come and they go. i fall in love with them and then they die. its getting too hard, my heart cant take it anymore. I’ve emailed you, please find me one in good working order so my search for a beautiful point and shoot will finally be complete! Just picked up a minty T2 and can’t wait to take it street shooting this weekend with some Ektar 100 and Neopan 100 Acros. A few points that I thought I’d mention. The camera is smaller than I thought it would be. I would actually think that the smaller T3 size would be more problematic from a handhold stability standpoint (and without the grip). It’s frankly perfect-sized for my larger hands. Was worried when I first inspected the lens because the front lens element had a minor purplish/rainbow-like iridescent sheen to it when viewed from an angle in the sun, but I think that’s just the Zeiss multi-coating and not a lens separation issue. The controls are amazing and minimalist – love it! Lastly, I spent hours upon hours contemplating whether to get this or the supposedly sharper reformulated T3. But after much research and deliberation, I’m convinced this is the better choice. From what I understand (based on user feedback), the T2 has more lens character and the colors are more vibrant. And personally, if you’re in love with the organic look of film (with a vintage burned-in vignette look), then this one would be the clear winner. My guess is the T3 has a more sterile/perfect optical look (without the light falloff or vignette), albeit a touch sharper. But sharpness isn’t an end-all-be-all concept (and at some point, you pass the point of diminishing returns), it’s about character – and sometimes you can actually over-engineer a product. Not saying that’s the case with the T3 (I’m sure it’s an excellent camera), but T2 is about as good as it gets – and a lot less expensive (with more intuitive controls). I can see why it’s your top pick! Thanks for a good review. I have started street photography and find that digital cameras respond to slowly to capture the moment. I remember using a Olympus AF 10 Super when my first child was born and this camera was amazing. It took the photo when you clicked the shutter and all the settings was great. I want to take photos in black and white. 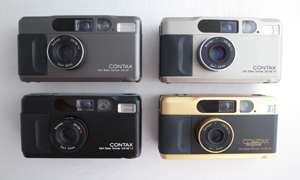 I get the impression that the Contax T2 is what I am looking for. What is your opinion and what could I expect to pay for a good working model.Oh by the way I would not like a gold model. Hi, just bought a T2 this morning from my local swap meet for AUS $5 and doing some research on this camera. I guess I got lucky this time. Works fine after replacing its flat battery. I just discovered that a tiny amount of fungus is spotted inside my contax t2 lens,i wander is there any place to clean the lens? Nice. I have had a T2 for years as a notepad whose images one could occasionally enlarge to 11×14 without problems. Then I got busy, and while I shoot mostly film, my pocket camera is a Leica D-Lux 6 (after a 3 and a 5). But I recently decided that I was being stupid and now often carry two notepads, the Leica and the T2. I will have to have it looked over after so many years (the exposure compensation indicator stays on all the time, who knows what other minor things are wrong) and then happily continue using it. i purchased a contax t2 from ebay november last year. i have shot about 6 rolls in it and was perfect until last month. It refuses to fire the shutter, it will rewind and turn on , but when i click the shutter it just extends and retracts about a cm. also im from australia so if you know of any international repair places please tell me . I’ve just bought a 60th Anniversary one! Whats the best place to buy a T2 in the UK and whats the average price these days? Thank you for such a glowing review. Most of my non digital stuff is MF so your review tempted me into buying a nice looking T2 on Ebay today. I paid £200 which, going by your report, would seem a good price? I’m also looking for a 6×7 camera, preferably a Fuji, and would appreciate your thoughts. Many thanks, G.
I’ve owned a T2 for about six or so years now, and the camera helped me to rediscover street shooting which I’d lost a flair for in and about 2008. I take it everywhere, a few months back it fell out of my moving car, fed it a roll of T-Max 400 film and not one issue, great little camera, can’t praise them enough, and I’ve encouraged a few people to get one, just like I was encouraged. Mine’s getting a nice patina now, its seen a few bumps and scrapes. Paid less than £200 on eBay, bargain. 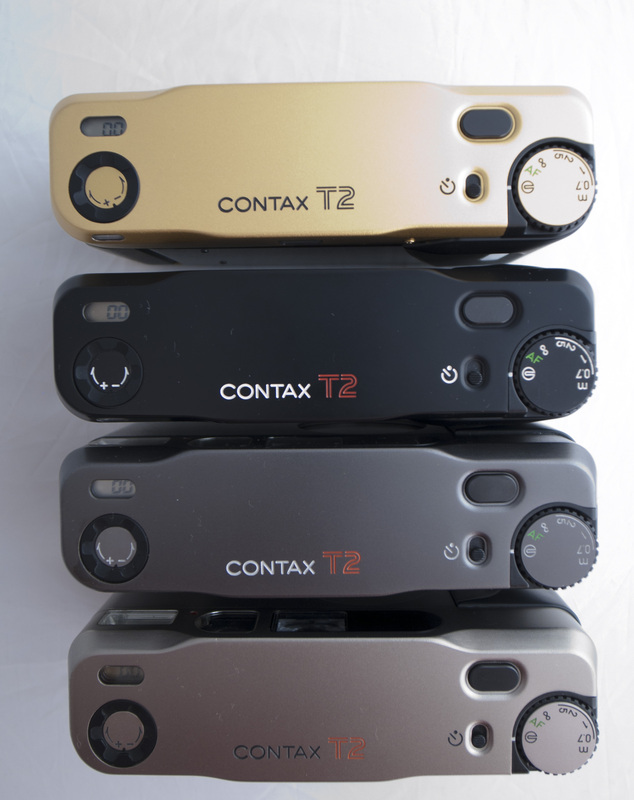 I have a new Contax T2 for sale. Hi! Thanks for all your articles, they’re really useful! I just bought a T2 in nice cosmetic condition on eBay but it’s not from someone who actually used it. Testing the camera I’m worried that there is no green focus dot appearing either when I use AF and half-depress the shutter, or when I am using manual focus wheel – when I focus manually I get the left and right arrows appearing, but not the dot. 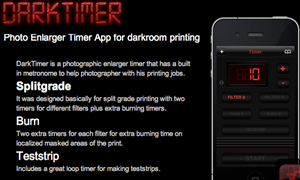 I can run a film through it but I’ll need to return it asap if it’s not working… does this sound like an issue you’ve encountered before with T2s? thanks! Hey Ken, I’m interested if you still have it for sale? First of all let me add that to have an ongoing conversation lasting 5 years is a testament to your great article! A success story of Web 2.0! I’m going through the exciting (excruciating) process of researching my next camera(s). A nice bonus has given me a budget of around $1500 to spend on two film camera’s. I’m in the market for a point and shoot ( for black and white street shooting) and an SLR. For the point and shoot my research has brought to the conclusion that a T2 or a T3 is the best choice. But I can’t look past T3’s 35mm lens and compactness (it’s just so darn small and inconspicuous – a key element to street shooting). But I hear the increased functionality complicates things. Can you give me your thoughts and which you would choose if money wasn’t an issue? Also where your at it. 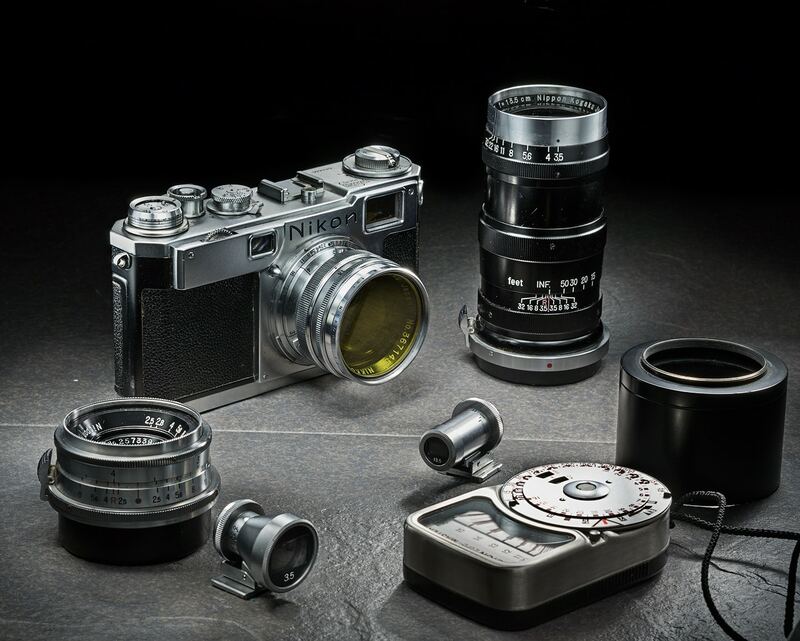 Any thoughts on a Film SLR? I’m over Leica’s. Thinking a Nikon FM2 or a Canon F-1. Nippon Photoclinic on W 39th St repaired my T2 when the lens suddenly quit extending / retracting during a trip to December 2015 to NYC. They had it in and out of the shop in a couple of days. They were fair too, and repaired my T2 for just under $200 and very polite / great service. So I came across one of these cameras in a charity shop, it still has film in it and all sorts, but Im trying to figure out what is it? Meaning is it something you charge or is it battery operated. I just need some basic info on it is all. Can you recommend good film brands to use with Contax T2? I have read a bit about it and some people say 200, other 400 and some even 800 and higher for night photography. So far from what I read Kodak Portra and Fuji Superia are the winners. I know that depends on a setting you shoot in and your preference, but wanted to see what you think is a good film all around to use with this camera. 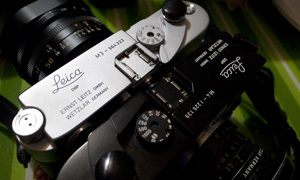 I have a Leica Minilux and it is hard that there is no manuell ISO to set. The Contax T2 has the same “problem”. So I solved it by manufacturing my own DX Code Labels. 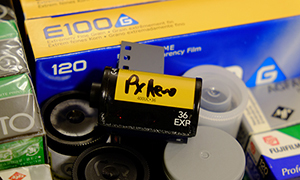 If anybody is interested in DX Film Code Labels – so you can use ANY fancy film you want – please let me know. Some of these contax have the DX code overdrive in case I want to push-pull the film? Hey! 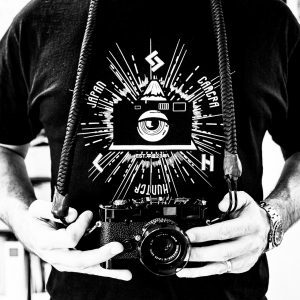 can anyone tell me where I can find this camera? I’d like to buy one but I live in France and I’m only able to find people from the states selling theirs on Ebay. I bought a T2 champagne back in thelate 80’s after redaing an article in The Face about Mario Testino’s love of the T2 and his work for Vogue with the camera. I took it to Cuba along with a Contax 137MAand 50mm 1.4 Planar. When i got my transparencies back and put them on the lightbox i couldn’t tell the difference. I had to check which films i had shot with each camera. Many youngsters who will buy these beauties will be less aware of the dimension of film. Shoot transparencies. View them on a lightbox and discover a whole new dimension in photography. You’ll be surprised at the 3D depth as opposed to a flat monitor screen. I now also have a long-lusted-after black version also. The summum. Although the Platinostrich sounds like an even rarer bird. I have a mint black T3 also but somehow the T2 is more engaging. I’m trying to find out if there’s a way to get the matteness back on the T2 black finish, as with handling the oils on skin make it shinier. I suppose you could call it patina but the matte finish is to be admired. If anyone has any tips on how to achieve this i’d be grateful to hear. Normally, i’d say ‘don’t believe the hype’ but in the case of the T2 it’s justified. I’ve had one for about 15 years and haven’t had any issues. My one is the champagne silver model. A great travel camera with a razor sharp lens that just keeps on going. Soon after I purchased it I bought a beautiful leather ever-ready case for it — NOS Contax brand and about $90 -as I wanted to hang it around my neck in the horizontal position. This combination is very handy. By the way, I’ve never seen another person use one in Japan.